You can either install all the recommended plugins in bulk or individually select which ones you would like to install. We recommend installing all the recommended plugins. Visit Getting Started ▸ Setup Guide and click "Install Required Plugins" then "Install Plugins". 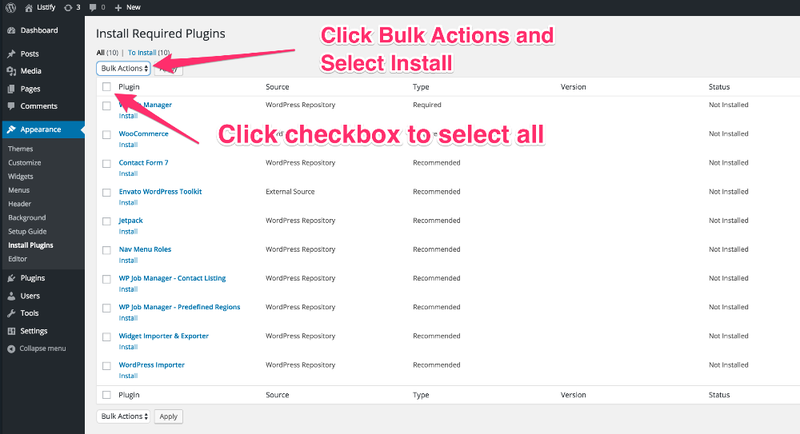 After you've selected the plugins you want to install, click "Install" under "Bulk Actions". *Note: This method does not include the installation of any premium or 3rd party plugins that are not freely available on WordPress.org.